This memory location could have some values inside, which we are not sure of, any/no value could be there. In layman terms, In above image i have given some address or a location for each bucket, now for a moment sake close your eyes and tell the bucket location of the big Kitten. I am not crazy, so please do give a try. Unless you memorize you cannot guess or remember the locations, am I right ?, Yes. Now let's provide some unique names to the each of the bucket, and let's try to remember/ guess it. Now I have labeled the buckets, could you try to guess the big cat (tongue out cat) label. Yes, it is possible as we have to guess the label, and the big cat bucket label is angryCat. Lets' get back to technical, All the values(kittens) in programming languages are stored in a place called memory(bucket), and this memory is made of series of cells, and each cell has a unique address in your computer. The address of these cells are in hexa-decimal format like : 0x7ff9c05f, which we cannot memorize (unless you belong Albert Einstein's family), so to make it easy we provide some name/label to the address and this name is nothing but variable. The type of a variable defines the range of values that the variable can hold, and the operations that can be done on those values. Static Typing is nothing but the types of the variables is declared explicitly while declaring the variables in the program. In Some Statically typed languages, you don’t explicitly set a type, but the programming language can assign a type at compile time, then the language is still considered to be statically typed even though the programmer isn’t required to explicitly set a type. Kotlin follows above two points while creating the variables in programs, so kotlin is a statically typed languages. In kotlin, data types are specified during the declaration or during the compile time. Java is also Statically types language. This means that with languages that use dynamic typing, you don’t actually have to decide if the variable you're creating should be a Double or a Float or a String or an Int etc. PHP, Python are dynamically typed languages. A compiled language will have better performance at run-time if it’s statically typed because the knowledge of types allows for machine code optimization. Statically typed languages have better performance at run-time intrinsically due to not needing to check types dynamically while executing (it checks before running). Similarly, compiled languages are faster at run time as the code has already been translated instead of needing to "interpret" translate it on the fly. Static typing catches errors early, instead of finding them during execution (especially useful for long programs). In Simple terms, it is always better to check whether you have money or not while packing your bag in your home rather than checking on railway station. But when you re using constants, you can declare the constants in one place and define/assign value to them in some other line like below. movie = "Lord of the Rings"
Mutable Variables are something whose values we can change as we wish, in kotlin all the variables which are created using var are Mutable. Once we assign a value to a variables then we cannot change their value or re-assign their value, these are called as Immutable variables and the values created by val are immutable. 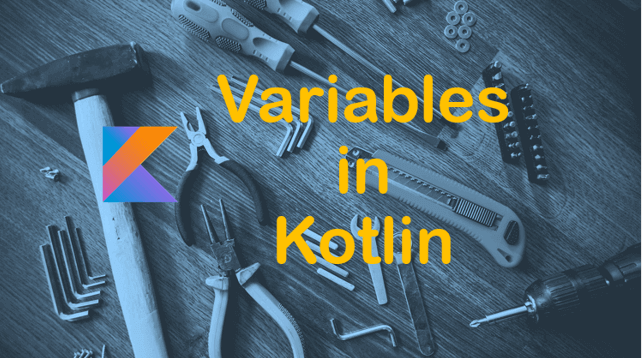 Data Types are used to categorization of values in kotlin, based on the data type functions will be available on them to perform some operations. It is as simple as, TV, radio, Bulb just think of operations we perform on these or they perform. Similar to them every data types restricted to perform some operation in kotlin based on the operations they have categorized them. Everything is object in Kotlin, there is no such thing as primary data types. Java and other languages provided a data types called primitive data types, but when we want to perform some complex operation or to use some complex functions o the primitive data we must convert them into objects using wrapper classes. Boolean values are understood as "yes or no", "on or off", "true or false." We usually write this data into computer memory of 1 byte or 1 word size where we might refer to its value as 0x0 and 0x1. Number data type represents numeric system in Kotlin, number data types is divided into six categories. Byte : Basic unit in computer is bit, 8 bit makes up a byte. Byte data type can have values from -128 to 127 (this umber is calculates keeping the base as 2 and power as bit value, I mean, 2 power 8 => 128). Long : Long Contains 64 bits, We will use this when we have some bigger values to store in programs, it can have value from -2power62 to 2power62 – 1. Type Inference in Kotlin is nothing but finding the data type of a variable based on its usage i.e based on its context. Kotlin finds the data types during the compile time if user have not provided the data type during declaration. In above program, Compiler will assign Int data type to firstRank and to total, similar to this compiler will assign data type to all the object types in Kotlin. The above variable declaration fails because Kotlin has no way to infer the type of the variable without an initializer expression.